I love wine from Spain. So, when opportunity presents itself to attend an industry wine tasting event featuring everything Spanish, there is no arm twisting necessary, even if it does mean traveling south on treacherous I95 to get to Miami. But that’s what LYFT is for. And, with half-price weekday rides, the plan crumbled together beautifully. It was game on for me and two other passionate wine reviewers. The event, SAVBOR, is intended primarily for wine (and food) producers wishing to export their products to the U.S., South America and the Caribbean. Now, granted, many of the wines presented at SAVBOR are not yet readily available in the U.S. market. But that has its upside, too. Because being an early adopter is cool. You can say you saw it here first. And, if you are a wine importer, maybe you can help us get these wines into our retailers and restaurants. Overall, a wide variety of Spanish wines from across multiple Designation of Origin (DOs) areas were represented at the event, ranging from Rias Baixas in the far northwest, to the inland DOs of Toro, Rueda, Rioja, and Ribera del Duero, and to Priorat near the coastal city of Barcelona. We visited about a dozen wine producers at the event, with pit stops here and there to grab samples of olive oil, cheeses, and Iberia ham. As with most tastings like this, we hit each table twice to run through the whites first, followed by the reds. And, we returned to one or two favorite whites halfway through the reds to ease palate fatigue. All of the representatives at the event did a great job presenting the wines, describing the regions, and making all of us want to head to Spain in a nanosecond. But, we settled for sipping the fruit from its terroir in the air-conditioned tasting hall. And, drum roll…here are the tasting results. Photo courtesy of SFG, www.sfgmag.com. Admittedly, I was initially drawn to the beauty of this elegant, slender bottle the color of deep blue sea glass. In fact, this wine wins the best dressed award, too! The name of the wine, Olatu, translates to “wave” in the Basque language. Made on a relatively short coastal strip near the Cantabrian Sea on the northern coast of Spain, Olatu is a bright, sparkling wine that has just a slight saltiness given its seaside location. Made of a white grape variety, Hondarribi Zuria, it has a soft, fruity finish that would make this a beautiful aperitif wine. Not only do I adore Cava, but particularly when it’s of the Rosé variety! I also fell in love with this Cava since it is made of 70% Monastrell, a Spanish grape I’m crazy about. The remaining 30% comes from fruit-forward Pinot Noir. This Cava was everything I expected with light, fresh strawberry notes that are enhanced by the bubbles. Made using the traditional champenoise method, the MM Rosé is made from high quality grapes from the Catalonia region near Barcelona, where Cava was born more than 100 years ago. This is perfect for Sunday brunch. Although my go-to white from Spain has typically been Albariño, I now think I am going to need to allocate more shelf space for Verdejo. Sorry Albariño. The love is still there, but it just needs to be shared! From the Rueda region, the Alaia Verdejo is full of floral aromas and tropical fruit. It also has some slight minerality and a level of acidity that makes it a great food wine. Just add some manchego cheese and ham, and you’ve got a complete meal! It was such a close tie that I feel obliged to have a runner up in this category. The Vega de la Reina from the Rueda region also had aromatic fruit like the Alaia, but I also picked up just a hint of herbal characteristics that made this one stand out from the crowd. One wine that had me coming back to the table for a second time was the Colono Crianza. From the Rioja region, the Colono has 85% Tempranillo and 15% Graciano. This wine is practically lip smacking. It offers layers of fruit with a long, spicy finish. It is aged in American and French oak for 14 months. (Note: A description of the aging designations for Rioja are noted in the Quick Study section at the end of this article). Medium to full bodied and elegant, the 2006 vintage of the Federico Paternina Gran Reserva is a Tempranillo blend with a long, lingering finish and a soft tannic structure. Hints of toast and spice offer a nod to the 24 months of barrel aging. Pictured at left in the middle, the Brisios Ribera Del Duero, is an Estate wine of 90% Tempranillo that comes from multiple plots. Small portions of Cabernet Sauvignon and Merlot round out this full-bodied red that emanates a bit of mint on the nose and savory characteristics that finish with dark fruit on the backend. It was a pleasant surprise to encounter a Malbec and Petit Verdot blend from Spain. With plenty of body and complexity, the Gulae features lots of red cherry and blackberry and relatively soft tannins. Aged up to 18 months in French oak, the wine is grown and produced in the Extremadura region, a sparsely populated area in the southwest of Spain. The label is inspired by Iberian ham, a staple in Spain. And, the name “Gulae” symbolizes the regional gastronomic culture from where the wine comes. Any reason why we wouldn’t want to pair this with savory Spanish tapas? Pictured at left is Álvaro Banús Aleixandre of Carabal. The Arca de Noe label offers three Rioja — Joven 2015, Crianza 2012, and Reserva 2010 — of 100% Tempranillo from the Rioja region. Not only are the bottles visually elegant, but the wines are beautiful expressions of Tempranillo. A white blend of Grenache and Albariño, the Sisquella features notes of pineapple and lemon and is a bit toasty, with vanilla accents that come from the four months of aging in French oak. From Les Garrigues in the Catalonia region, Sisquella is the namesake for the ancient lands from where it comes. The red wines of Rioja are perhaps the most well known of Spanish wines, and they are typically a blend of different grapes. Tempranillo is the pronounced varietal, usually accounting for the majority of the blend. Rioja wines are labeled according to the amount of aging the wine has received. The three most common aging designations on Spanish wine labels are noted below (any Rioja wine aged less than two years will simply say Rioja, or Joven, on the label). At right is Nick Mantella, the Business Development Director for The Haciendas Company. Crianza red wines are aged for 2 years with at least 6 months in oak. Reserva red wines are aged for at least 3 years with at least 1 year in oak. Gran Reserva red wines require at least 5 years with 18 months in oak. 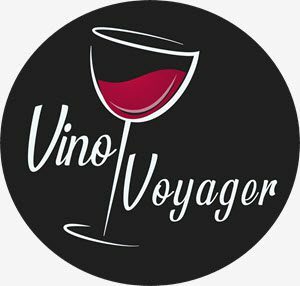 For more information, please feel free to e-mail me directly at megan@vinovoyager.com. Great site! You have quite a range of wines you are showcasing – love it! Check out our California wine country blog and follow us if you like what you see: http://www.topochinesvino.com.